Celgene Corp., a manufacturer of pharmaceuticals headquartered in Summit, New Jersey, will pay $280 million to settle fraud allegations related to the promotion of two cancer treatment drugs for uses not approved by the Food and Drug Administration. The payment resolves a whistleblower lawsuit that alleged Celgene had violated the federal False Claims Act by submitting false claims to Medicare. The lawsuit also alleged that Celgene violated the laws of 28 states and the District of Columbia by submitting fraudulent claims to state healthcare programs, including California’s Medi-Cal program. 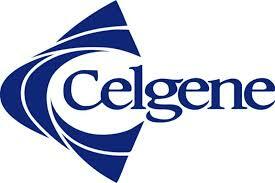 Celgene will pay $259.3 million to the United States and $20.7 million to the 28 states and the District of Columbia. California will receive $4.7 million, more than any other state. The lawsuit alleged that Celgene promoted two cancer drugs – Thalomid and Revlimid – for uses that were not approved by the FDA and not covered by federal healthcare programs. The allegations included the use of false and misleading statements about the drugs, and paying kickbacks to physicians to induce them to prescribe the drugs. “Patients deserve to know their doctors are prescribing drugs that are likely to provide effective treatment, rather than drugs marketed aggressively by pharmaceutical companies,” said the United States Attorney in Los Angeles Sandra R. Brown. The whistleblower lawsuit was filed by Beverly Brown, who was employed as a sales manager by Celgene. The lawsuit was filed under the qui tam provisions of the False Claims Act and similar laws of the District of Columbia and the 28 states included in the lawsuit. Under the False Claims Act, private citizens can bring suit on behalf of the United States and share in any recovery. Brown was represented by Reuben Guttman, of Guttman, Buschner & Brooks. Celgene was represented by Michelle Goodman, Kimberly Dunne and Sean Commons of Sidley Austin, and Karen Hewitt and Brian Hershman of Jones Day. The lawsuit alleged that Celgene promoted Thalomid and Revlimid for off-label uses that were not approved by the FDA, that were – in many cases – unsafe, and were not properly reimbursable by federal insurance programs. The lawsuit also alleged that Celgene offered illegal kickbacks to a wide range of entities in an effort to influence health care providers to select its products for use, regardless of whether they were reimbursable by federal or state healthcare programs or were medically necessary. Brown alleged that Celgene concealed or downplayed adverse events associated with use of Thalomid and Revlimid and improperly influenced the content of published drug compendia entries, medical literature, clinical studies and guidelines for Thalomid and Revlimid to support uses of these drugs not supported by medical science, including by making payments to physicians who had influence over the content of published drug compendia entries. Brown brought her case in 2010 and it remained under seal – and under investigation by the government for four years – until 2014 when the government decided not to pursue the case. Pursuing the case on her own, the $280 million resolution marks the second largest recovery in a non-intervened FCA case, largest recovery against a pharmaceutical company in a non-intervened case where core allegations were based on off-label promotion, and largest recovery involving a manufacturer of cancer drugs. At the culmination of the discovery period, on December 28, 2016, the Judge George King in Los Angeles issued an order denying summary in part, allowing the case to proceed to trial against Celgene on claims of off-label promotion. “In an era where drug prices are out of control and too many people are prescribed unnecessary medications, cases like Celgene function as critical oversight of industry which purportedly serves a healthcare function but way too often is driven by Wall Street goals,” said Brown’s attorney, Reuben Guttman. With the addition of the Brown settlement, Guttman Buschner & Brooks attorneys have represented whistleblowers in cases recovering nearly $5.5 billion for the federal government and state governments.